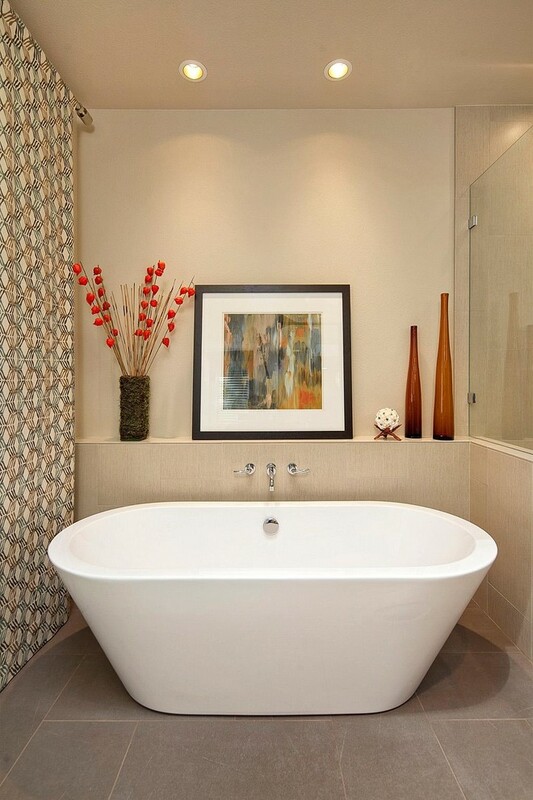 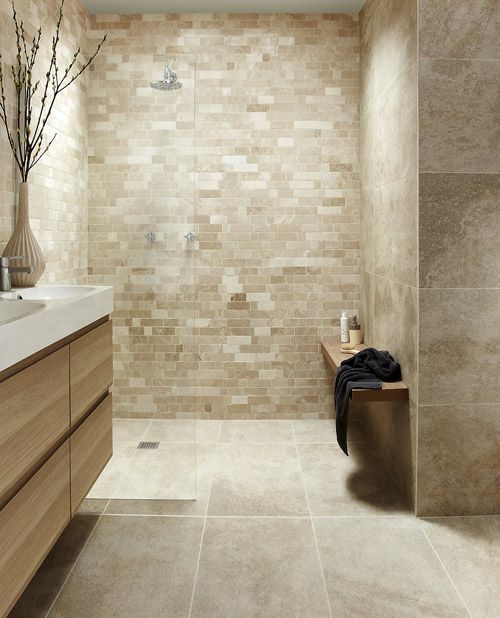 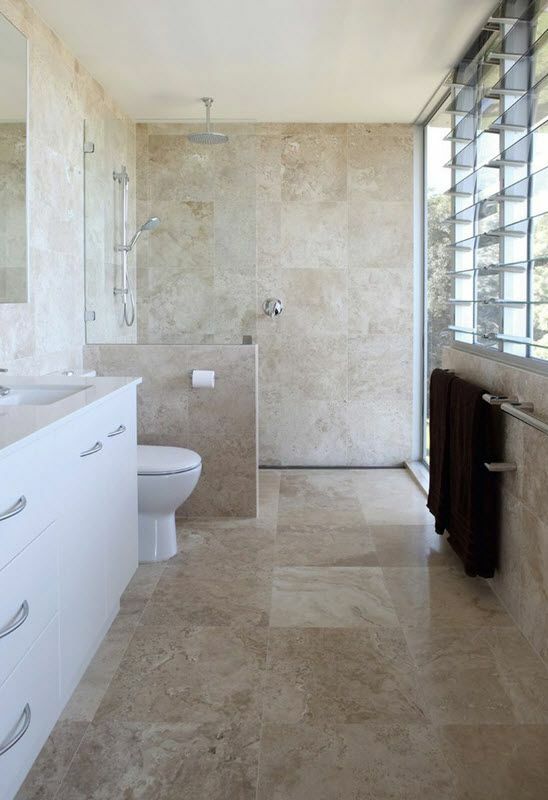 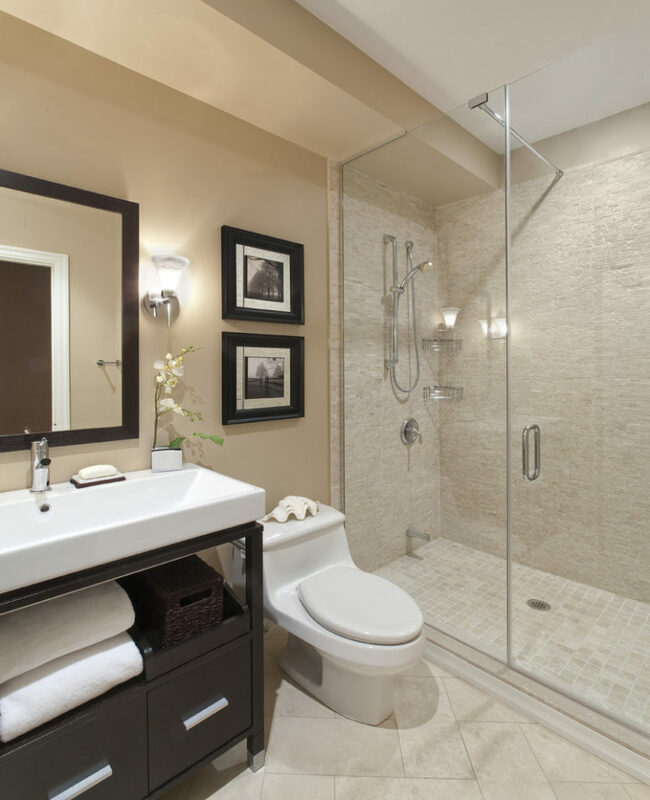 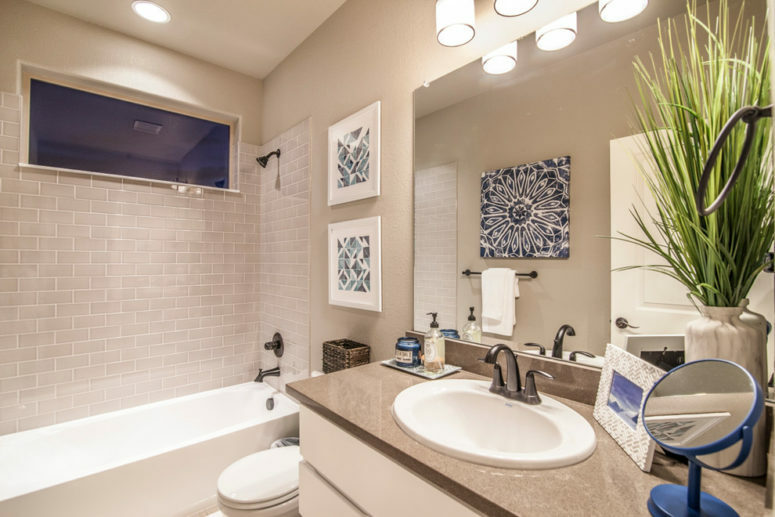 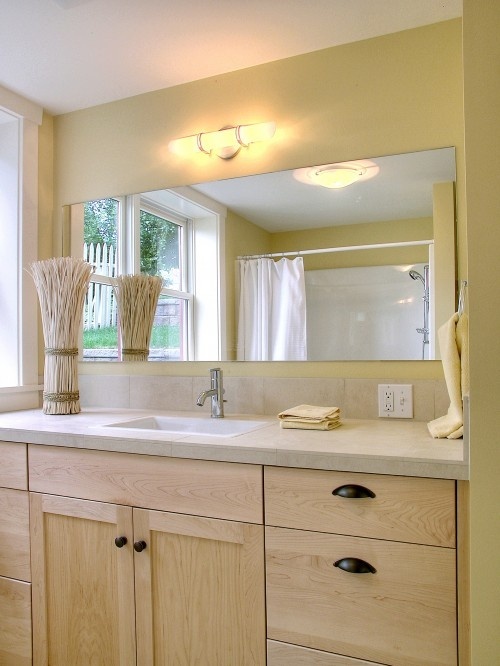 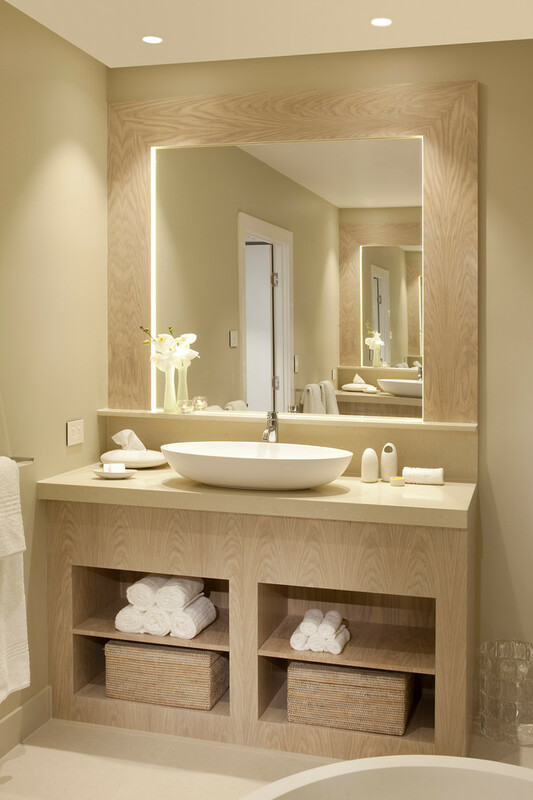 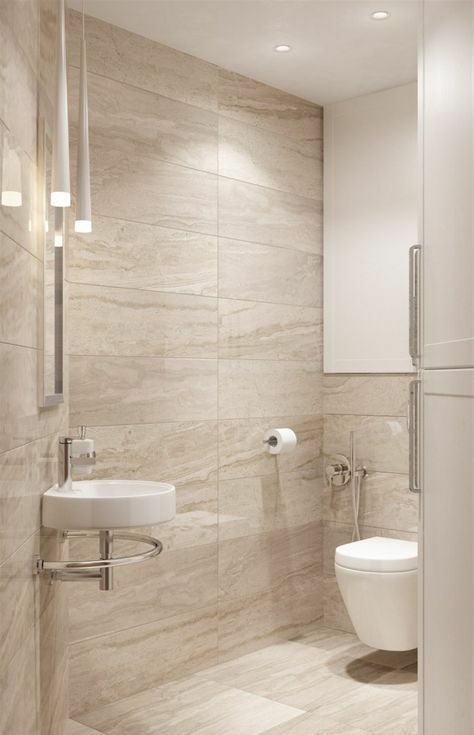 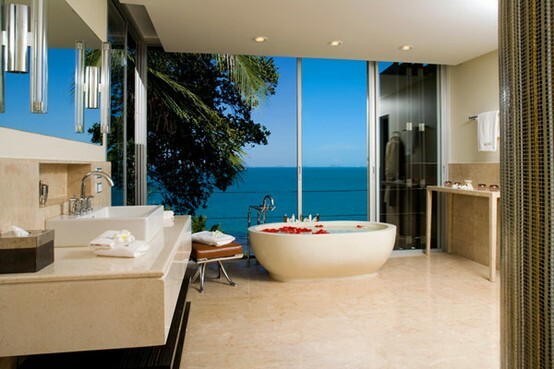 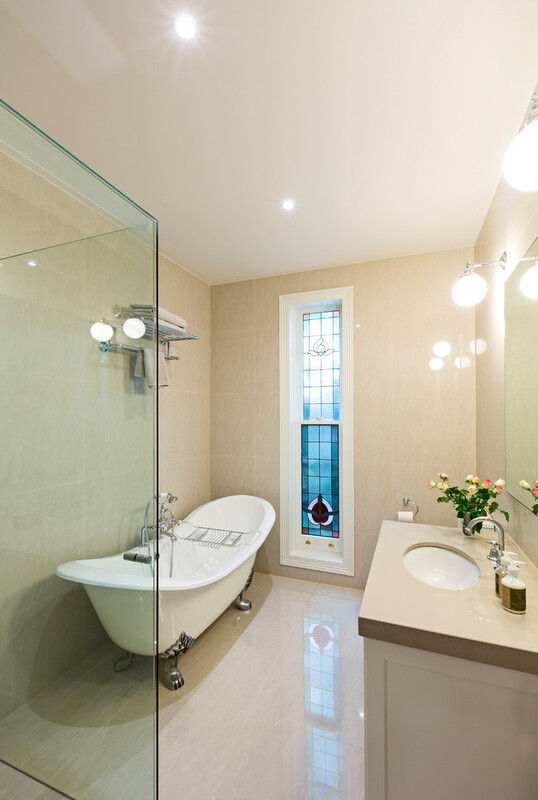 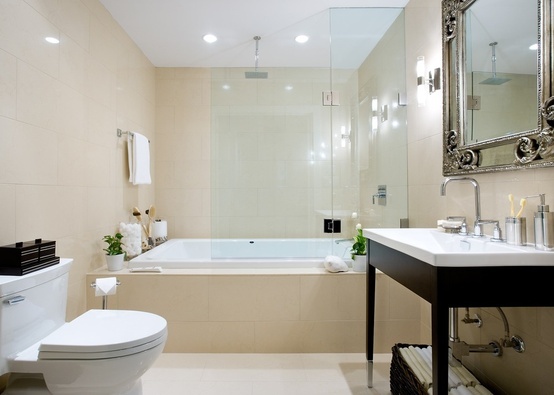 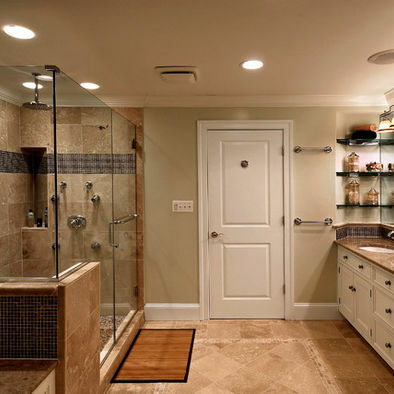 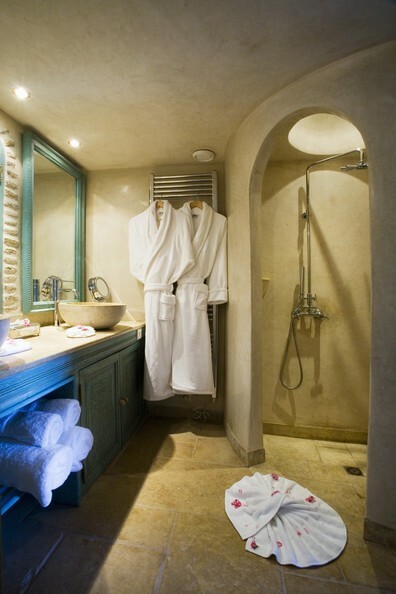 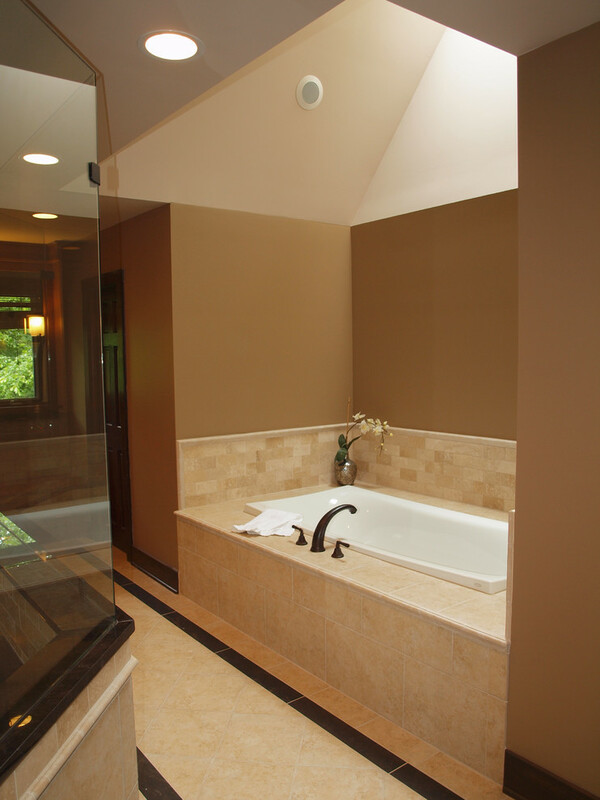 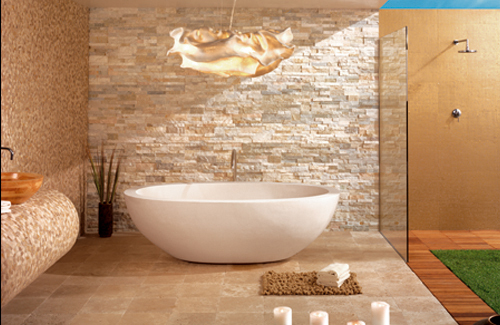 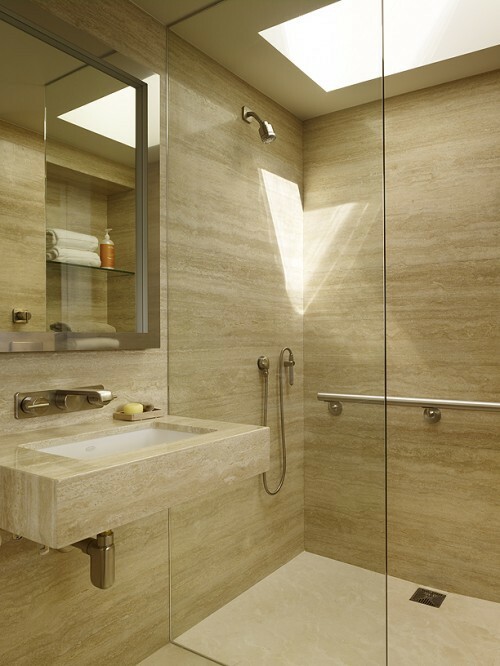 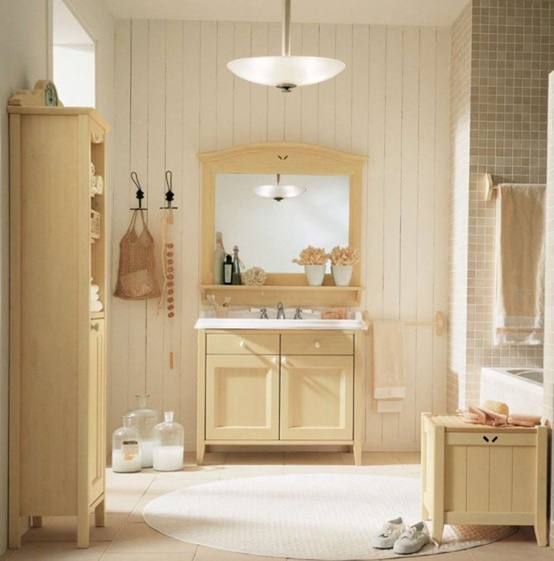 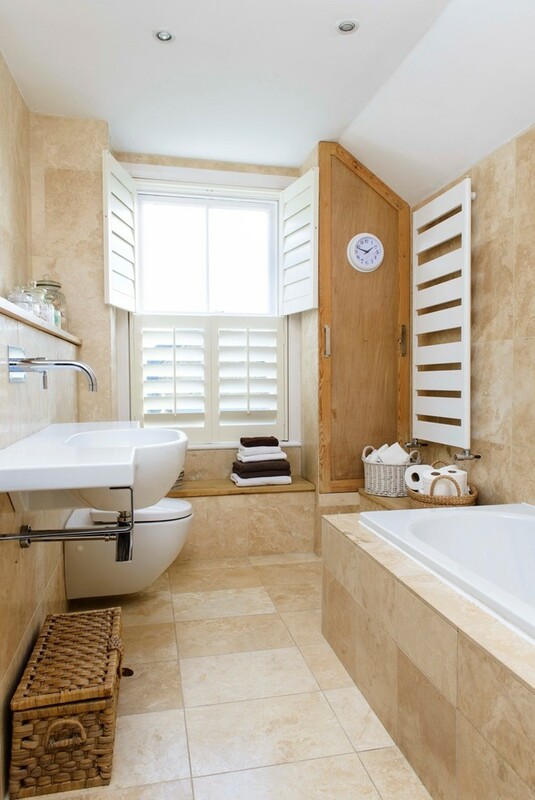 Beige is one of those colors that are perfect for a bathroom. 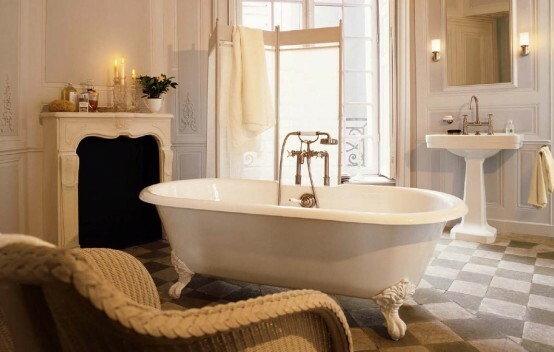 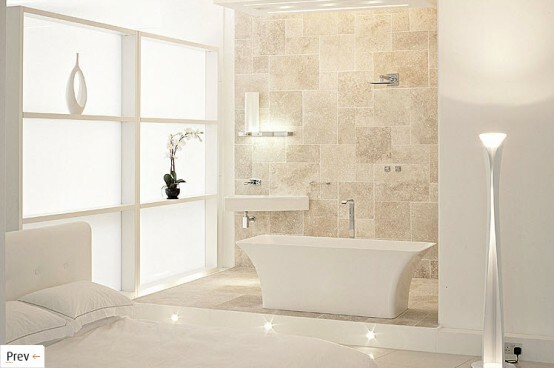 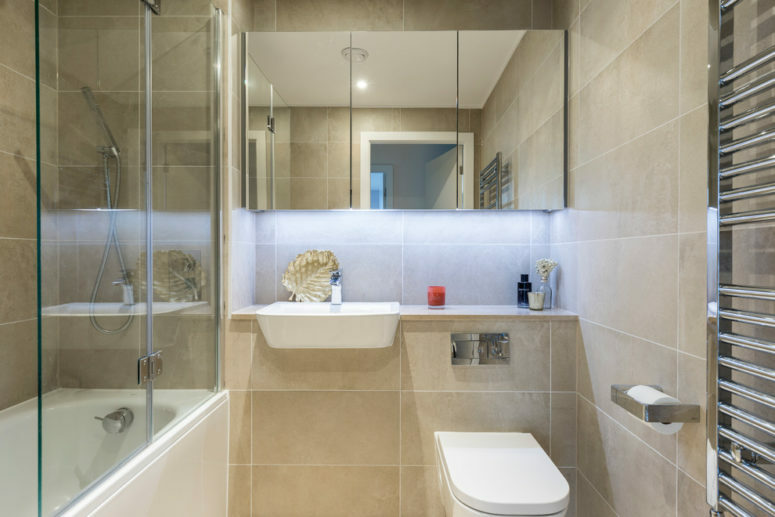 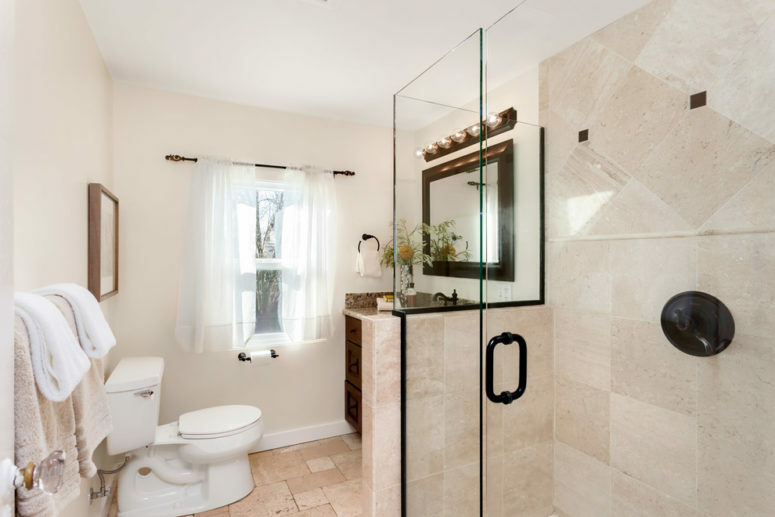 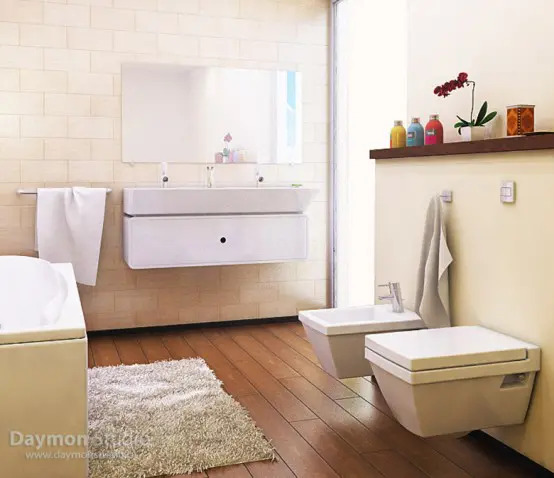 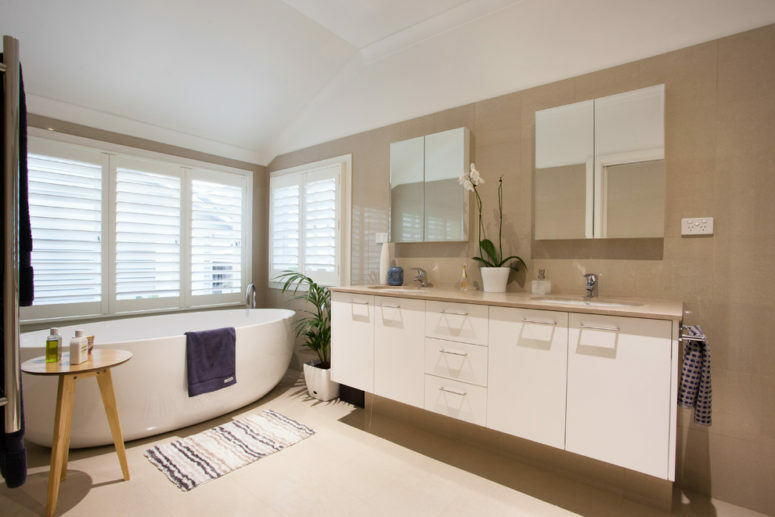 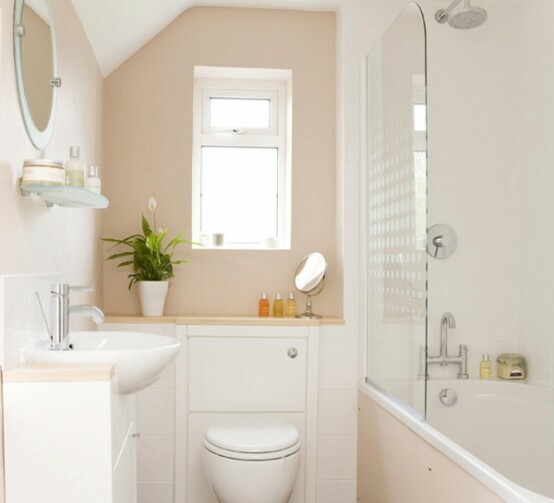 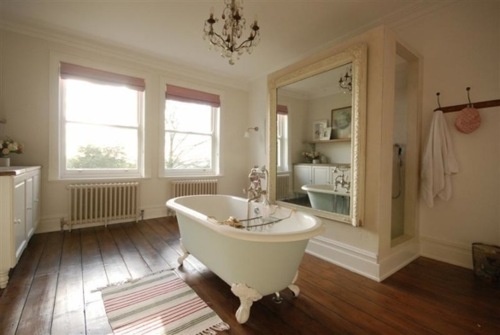 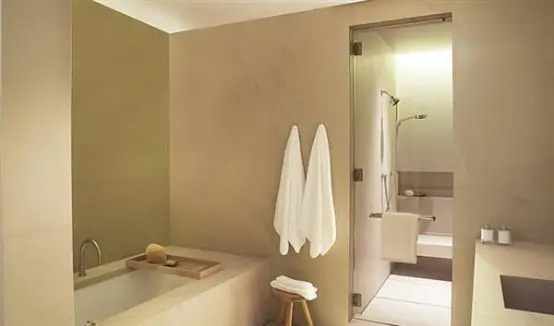 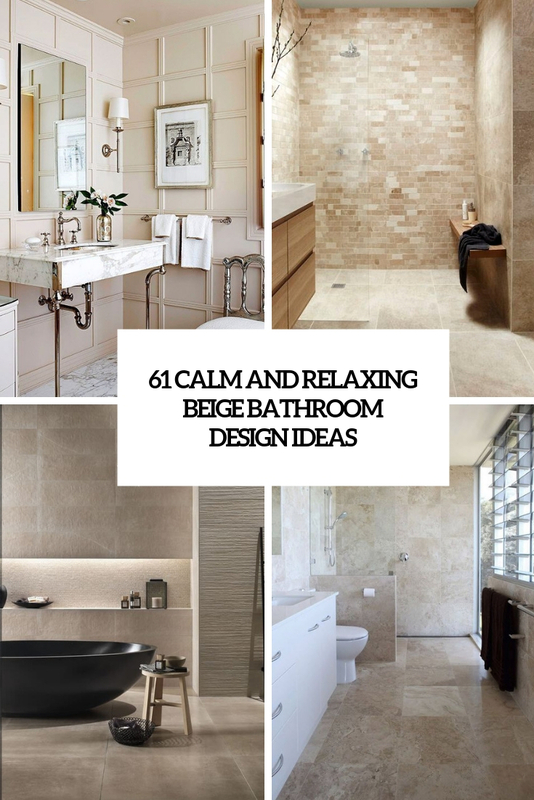 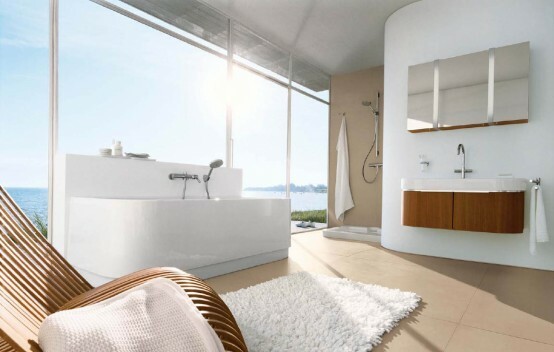 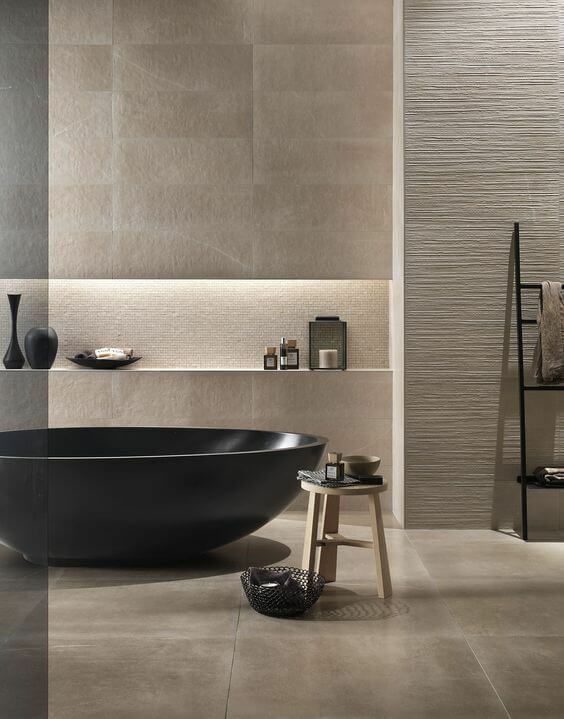 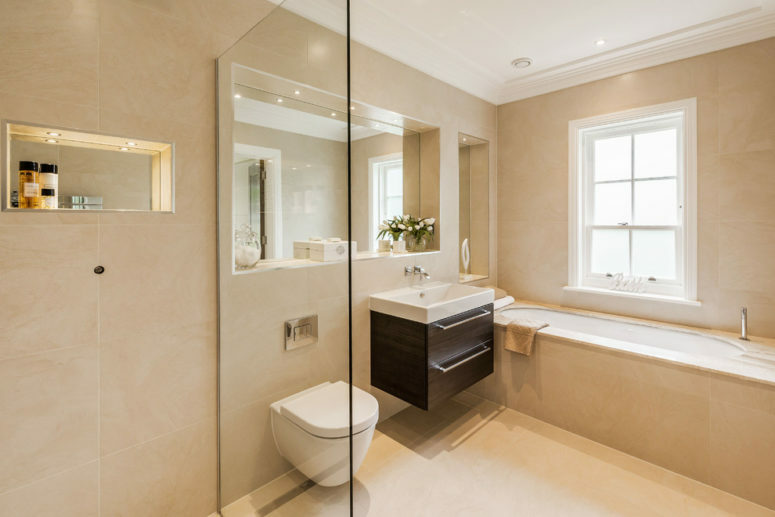 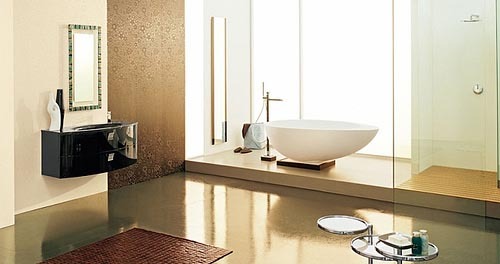 Of course a lot of beige bathrooms are boring but in the gallery that we’ve gathered you’ll find a lot of ideas to make your beige bathroom stylish. 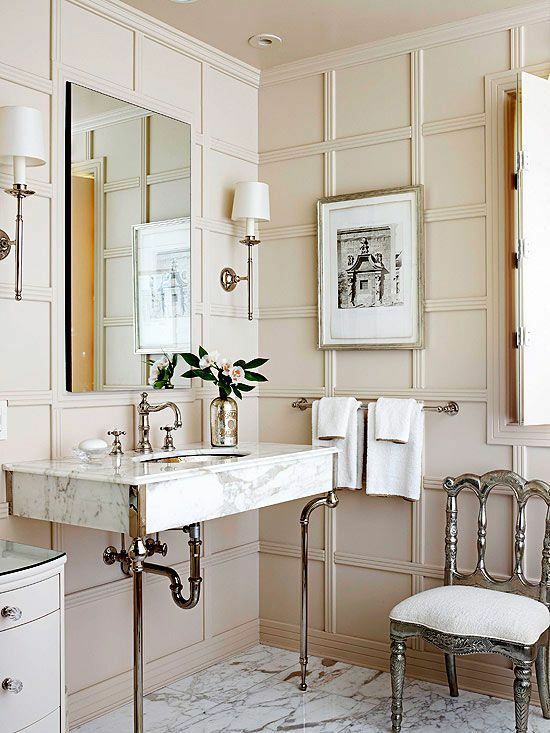 Even neutral theme does not have to be boring. 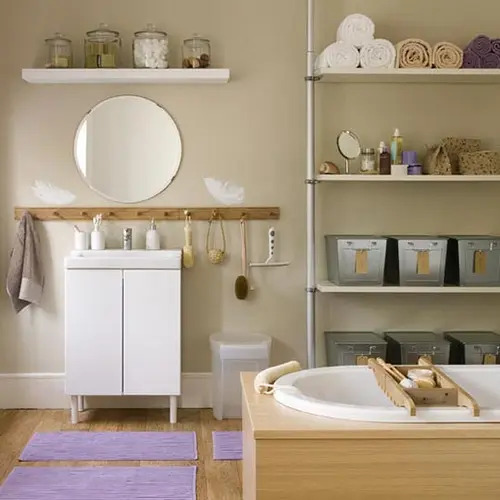 Thoughtful decor, cozy rugs, beautiful artworks and good furniture could make your bathroom as beautiful as calm and relaxing. 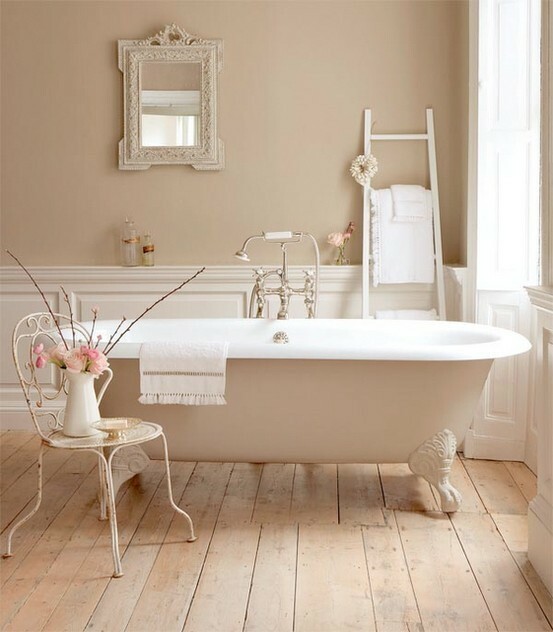 Lighter shades of beige are great to achieve a relaxing, softening and welcoming ambience in the bathroom, they will turn it into a spa. 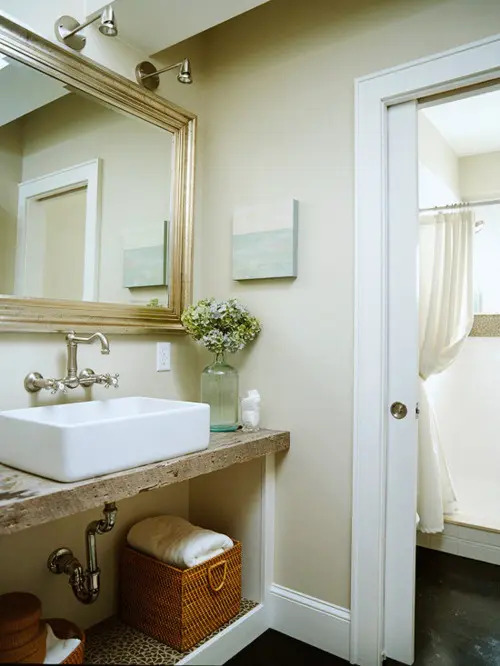 If you use only beige shades and nothing else, you’ll get a very soft space, if you add creamy or white, you’ll instantly refresh the space, and if you go for rich colors – black, rich brown, burgundy, you’ll bring some drama. 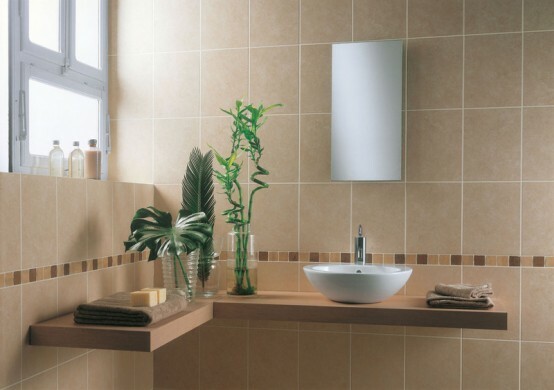 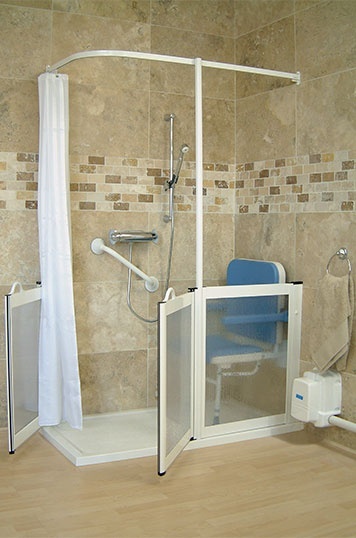 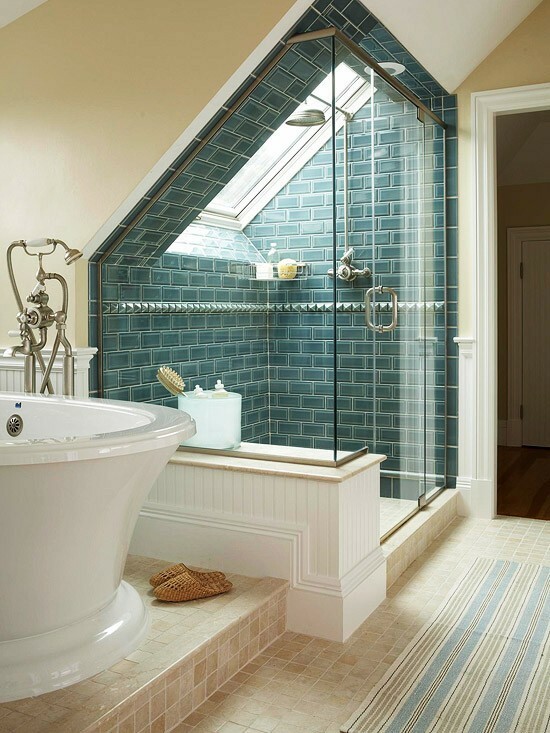 You may clad the walls with tiles or wall panels, a tile or wooden floor and a ceiling with much light. 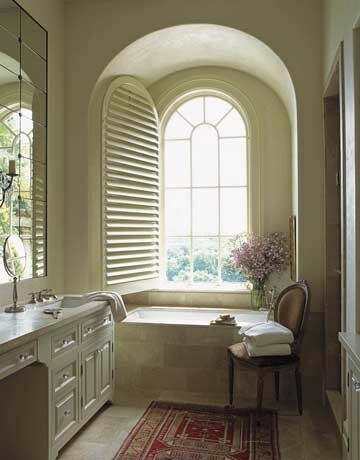 Try a large window to enjoy the views and cover it with shades if you wanna keep privacy. 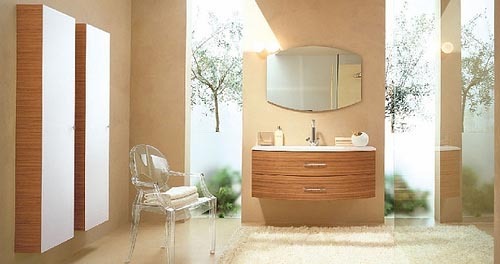 Try richer or darker shades – taupe, brown shades or something else you like. 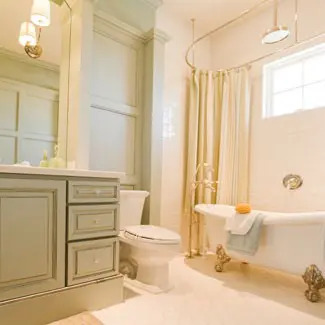 This way you’ll get a moody but not too much space, you may add black touches to the bathroom to bring drama in, or combine rich beige shades with white and cream. 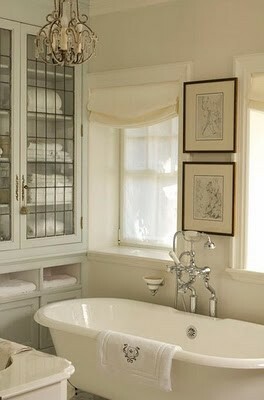 White and cream can be added with appliances: sinks, bathtubs, toilets and so on. 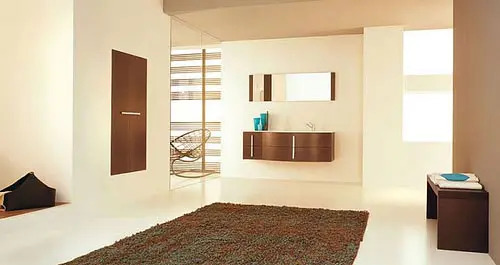 Don’t forget of stylish decor – artworks, arrangements in vases and pots and much more. 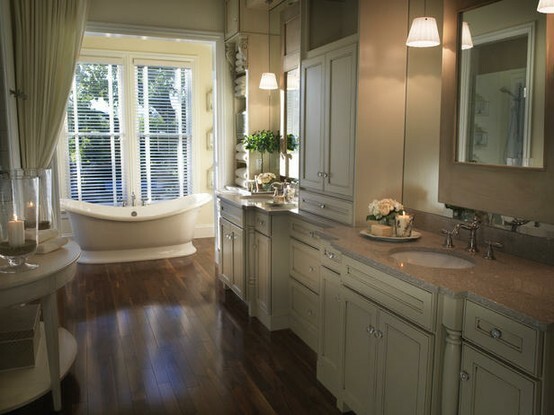 Take a look at the ideas we’ve gathered for you!